See you ALL in Durban! 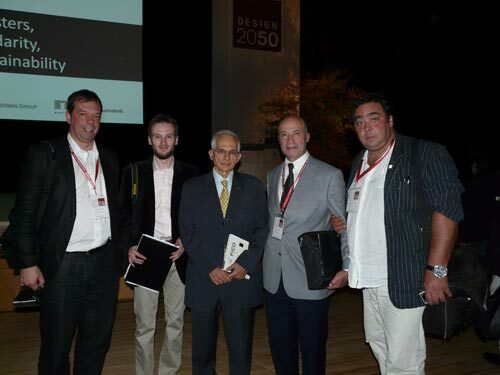 UIA2011 TOKYO The 24th World Congress of Architecture The UIA2011 TOKYO Japan Organizing Board (JOB) has announced that The 24th World Congress of Architecture was held from September 25 to October 1, 2011 and all programmes finished. Various scenes during the Congress updated on our website from September 25 to 28. These programmes include: Welcome Networking, Opening Ceremony, Theme Session 1 - 5, Keynote Speeches, Special Guest Lectures, Social Programme, Student Competition, Closing Ceremony and the others. Please access and enjoy them! We deeply appreciate your participation and your great supports to UIA2011 TOKYO. * Please join in Twitter of UIA2011 TOKYO! !